Sticker books girls will love! The Princess Parables come to life through age-appropriate puzzles, activity pages, and 50 colorful and reusable stickers in the friendly and fun Princess Grace's Sticker and Activity Book featuring Grace, her four princess sisters, and their friends. Princess Grace Sticker and Activity Book by Jacqueline Kinney Johnson; Jeanna Young was published by Zondervan in June 2015 and is our 17265th best seller. The ISBN for Princess Grace Sticker and Activity Book is 9780310747413. 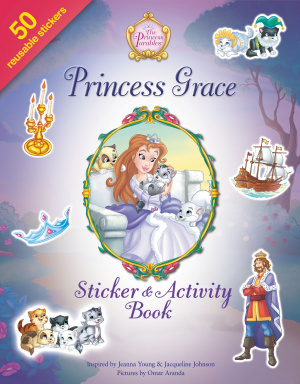 Be the first to review Princess Grace Sticker and Activity Book! Got a question? No problem! Just click here to ask us about Princess Grace Sticker and Activity Book.